​Dr. Joseph Bouserhal, Chair of the WFO Awards Committee presents Dr. Abbas Zaher with the first WFO Regional Award. Dr. Abbas Zaher has received the first of several WFO Regional Awards of Merit to be presented this year. 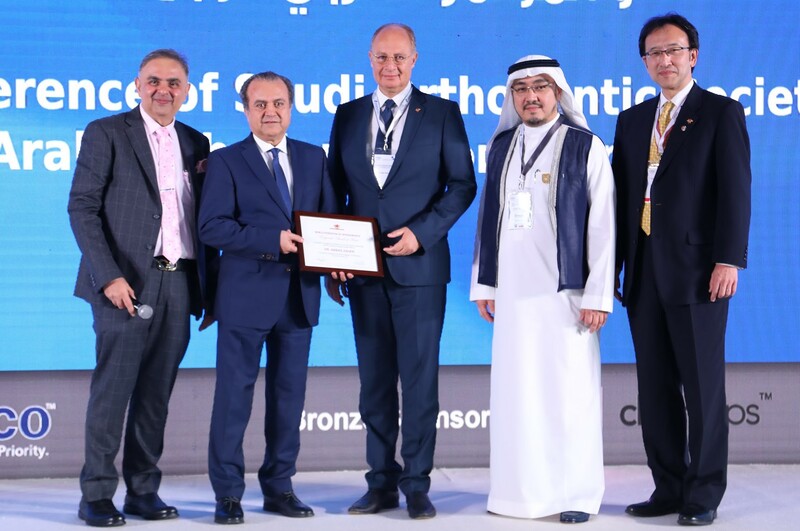 Dr. Zaher, of Alexandria, Egypt, received his award during the 13th Annual Conference of the Saudi Orthodontic Society and 14th Arab Orthodontic Conference. The conference took place February 22-24, 2019 in Jeddah, Saudi Arabia. The Regional Award of Merit, which was created in 2015, recognizes WFO members who make significant contributions to orthodontics, whether through academic, research, clinical practice or leadership and service in organized orthodontics. A nominee must be, or have been, a Fellow, Academic, or Retired Member of the WFO. Dr. Zaher is a past Executive Committee member of the WFO and served as vice president of the WFO for 2005-10. He was a founding member of the Arab Orthodontic Society and is a past president of the Egyptian Orthodontic Society. 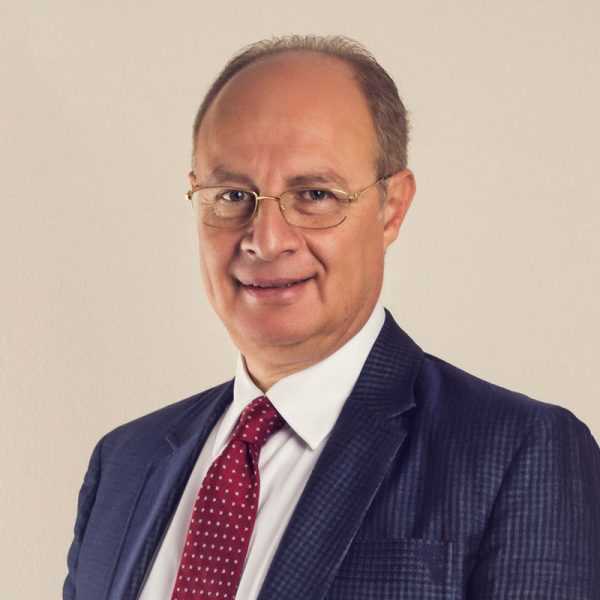 Professor and Chairman of the Department of Orthodontics and vice-dean, Faculty of Dentistry, at Alexandria University, Dr. Zaher is a past president of the 12th International Symposium on Dentofacial Development and Function. He has lectured internationally and has more than 40 scientific publications in Egyptian and international journals. Dr. Zaher has held visiting associate professor appointments at Cairo University in Egypt and at Marquette University and Saint Louis University in the United States. After obtaining his dental degree from the University of Alexandria, Dr. Zaher received a PhD in orthodontics, also from the University of Alexandria, and later completed an orthodontic fellowship at the University of Iowa in the United States. He received the Helen and B.F. Dewel Clinical Orthodontics Award for the best clinical article in the American Journal of Orthodontics and Dentofacial Orthopedics (AJO-DO) in 1995.